Often referred to as a tubular skylight, sun tunnel, sun tube, light tube, or a solar tube is a 10 or 14 in. 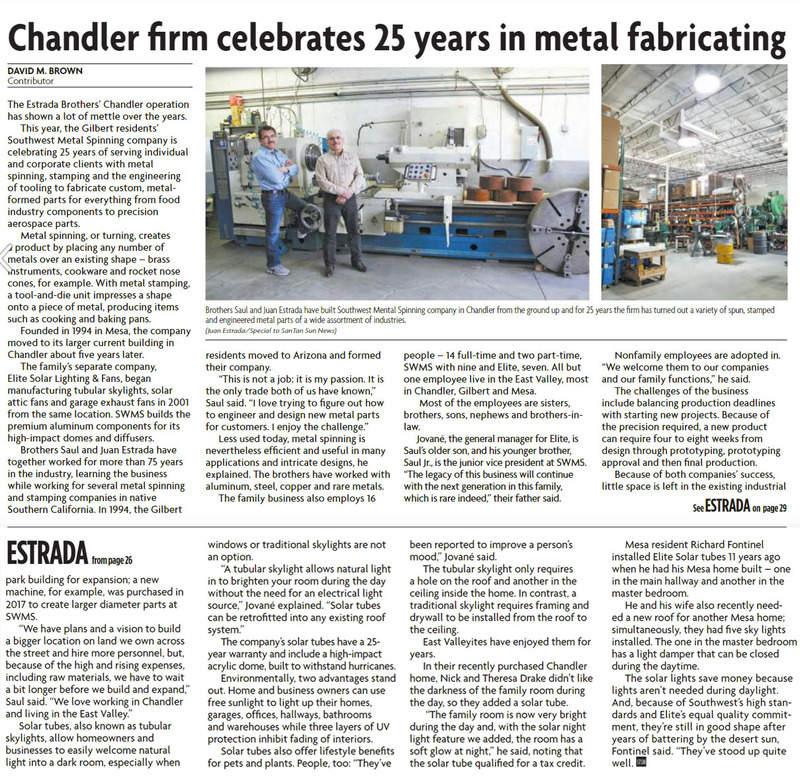 diameter sheet metal tube with a buffed interior. Because the interior is polished, it acts as a constant mirror, directing light down its entire length while sustaining the light’s intensity. It catches daylight at the home’s roof and delivers it inside. On the roof, a solar tube is crowned by a weather-proof plastic globe. The tube ends in a window-like diffuser in the ceiling of the room below. The globe collects light from outside; then the diffuser disperses the light into a sheer white glow. New installations sometimes have homeowners reaching for the light switch as they leave a room because of the solar tube. A 10-inch tube, being the smallest option, is the comparable to three 100-watt bulbs, enough to light up to 200 sq. ft. of floor space; 14-inch solar tubes can illuminate as much as 300 sq. ft. The only place you don’t want to install a light tube is above a TV or computer screen where it might create unpleasant glare. Are Solar Tubes Right For My Home? Because installation doesn’t need framing changes, there are few restrictions to where you can install your light tube. Inspect the attic space above to see if there is enough room for a straight run. If you find an obstacle, elbows or flexible tubing might get around it. It’s somewhat easy to install a light tube in a vaulted ceiling because not a great deal of tubing is required. Roof Gradient: A lot of light tube kits include flashing that can be installed on roofs with an angle in between 15 degrees (a 3-in-12 pitch) and 60 degrees (a 20-in-12 pitch). Roofing Material: These kits are configured with asphalt shingles in mind, but can also work with wood shakes or shingles. If needed flashing adapters are available for tile or metal roofs. Roof Framing Spacing: Standardized rafters are spaced 16 inches on-center; gap sufficient enough for 10- or 14-in. tubes. If your home has rafters arranged 24 inches on-center, you can special order a 21-inch tube for light illumination up to 600 square feet. Location: A globe mounted on a roof facing southwest will give the best results. Decide on a spot needing a run of tubing that’s around 14 feet or less. A globe located directly above your target room can transmit up to 98% of exterior light. A tube that has twists and turns will minimally reduce the light. Weather: If you live in an area that has high humidity, condensation on the interior of the tube can be an issue. Surrounding the tube with R-15 or R-19 insulation will significantly cut condensation. Some solar tube dealers offer sections of tubing with small fans built in to remove moist air. If you reside in an area that gets hit with a lot of hurricanes, choose an extra-tough polycarbonate dome. 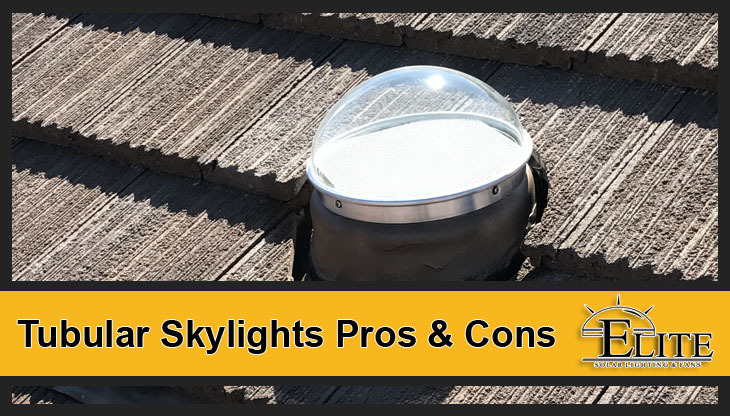 If you are looking for “Tubular Skylights Pros & Cons“, this article should help! 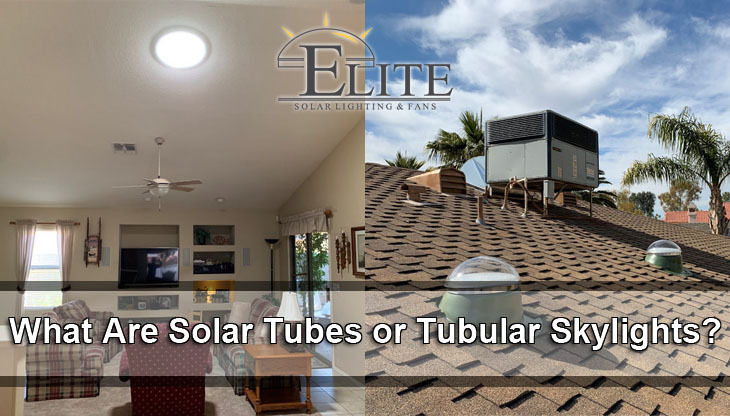 Here we explain the pros and cons of tubular skylights/solar tubes to help you decide if installing them are a good investment for your home or business. Tubular skylights allow natural light to travel through a solar tube to provide natural daylight in your home or business. With a impact resistant and durable 1 piece design, tubular skylights require no repairs or maintenance. Tubular skylights increase the amount of light they collect while also filtering out harmful UV rays that can fade your clothing or furniture. Tubular skylights don’t attribute to heat gain in your home like traditional skylights that open and close do. 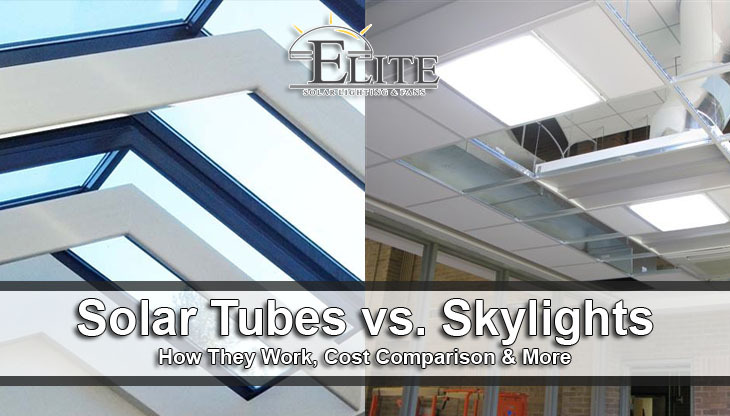 By considering the pros and cons of tubular skylights, you can make a better choice on the type of natural lighting system for your business or home. Traditional skylights are different than solar tubes or tubular skylights becuase they are simply a window that allows the sun to pass through. They are basically a framed sheet of glass on the top of your roof that opens and closes. The biggest pro of traditional skylights is the fact that they can be manually opened or closed unlike solar tubes. The biggest con of traditional skylights is the fact that they leak after time and the sun is unfiltered. 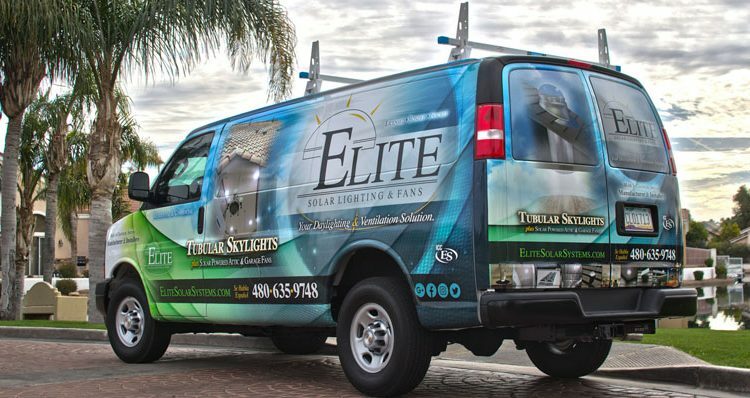 Elite Solar Lighting & Fans is proud to offer tubular skylights and solar attic fan installation services to the entire Phoenix valley including: Phoenix, Chandler, Gilbert, Mesa, Tempe, Tucson, Scottsdale, Glendale, Peoria, Surprise and more. 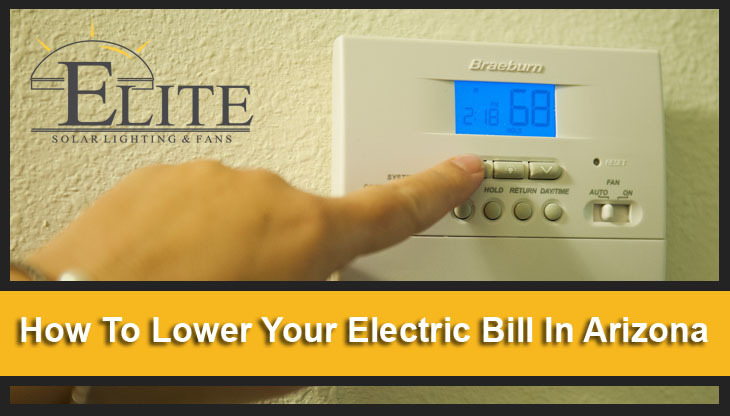 If you are looking for how to lower electric bill in Arizona, this post and our services can help! 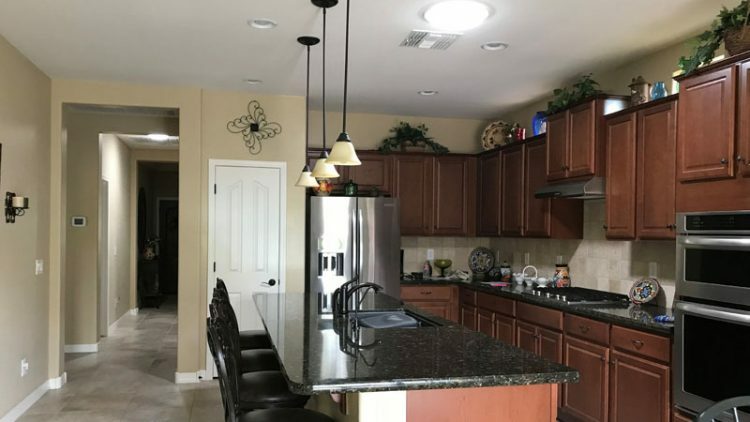 Here we list the best ways to lower your electric bill in Arizona combined with energy saving tips, products and services. 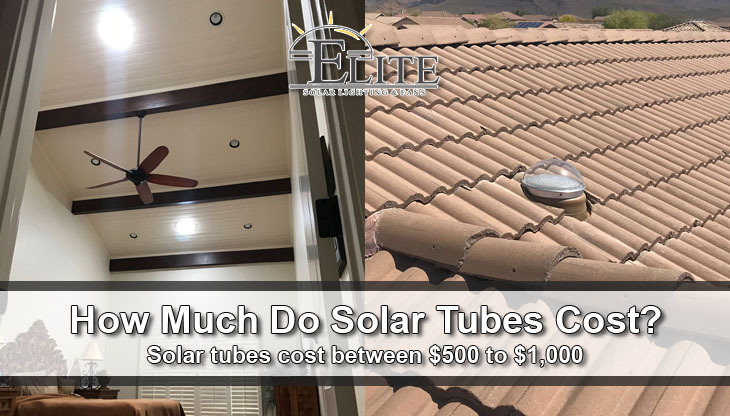 Replacing your traditional lighting in your home or office with tubular skylights or solar tubes is one of the best ways to lower your electric bill in Arizona. Tubular skylights or solar tubes light up your home or office using natural light which is has health benefits on top of electricity savings. Solar panel installation can help homeowners and business owners save 75% on electricity. It does cost a lot to install solar panels but with the federal and state tax credits you get right away can help bear the expense for your home or business. This is the best way to save. Load controllers help control the amount of electricity that is being used during high cost kilowatt hours. They basically shut off your appliances during the most expensive times of the day. However, if you want to run electricity during those hours, you just have to switch your loads back on. Wi-Fi thermostats help you be in control of the temperature of your home from wherever you are using a mobile app or application on your computer. Never worry if you left the air conditioner or heater on again with thermostat control in the palm of your hand. GreenLife Energy Experts says, “You can save 2-3% instantly on your electric bill by setting your SRP or APS thermostat settings to 1 degree warmer.” You can also change your air conditioners air filter out once a month to keep your ac working at 100% efficiency. Solar attic fans are fans that are designed to circulate attic air. Most of the heat that makes it into your home makes its way through your attic. Most attics don’t have an attic fan and installing one can keep your attic cool, which keeps your home cooler; saving you money on electricity. According to Energy.Gov, “Since mini splits have no ducts, they avoid the energy losses associated with ductwork of central forced air systems. Duct losses can account for more than 30% of energy consumption for space conditioning, especially if the ducts are in an unconditioned space such as an attic.” Ducless mini split ac units also cost less to run and use 60% less energy than a central air conditioning unit. Keep window blinds, shutters or drapes closed during the daytime. Don’t place appliances next to thermostat, the heat turns the unit on. Turning your air conditioner down 1 degree save 2-3% on your electricity bill. Set ceiling fans to blow down during the summer. Instead of taking baths, take showers, it saves your hot water heater from having to run a lot. Turning your water heater from 140° to 120° can lower your electric bill by $10 per month. Use tubular skylights instead of traditional skylights. Use Wi-Fi thermostats instead of traditional thermostats. Don’t use your dryer to dry clothes, hang them up instead. Anything that uses heat, uses a lot of electricity. Don’t use your dishwasher; Wash your dishes by hand to save money on electricity. Set your ceiling fan to auto so the fan won’t keep blowing after the AC is turned off. Using the auto setting vs the on setting can lower your electric bill by $15-$25 per month. Use the fan in your bathroom to remove humidity and heat from your home after taking a bath or shower. Wash clothes in cold water instead of hot water to save even more. Replace lighting with energy efficient LED lighting. Paint the walls in your home a lighter color. This will make light reflect better and lower need for more lighting. Do not install a freezer or refrigerator in your garage. Operating a refrigerator in a hot garage can cost your up to $15-$20 per month. Use outside grill instead of oven in the summer to reduce your home’s internal temperature. Keep your oven door closed at all times during cooking. You lose from 25 to 50 degrees every time your open it. Don’t let your oven preheat longer than it needs to. Dry clothes consecutively to use up the residual heat left over from the previous load. Make sure and clean your dryer’s lint filter for additional energy savings. Don’t run your dishwasher if it is not a full load. Make sure your fridge or freezer is set the manufacturers recommended temperature. Stop leaving the outside light on after morning time. Buy Energy Star appliances and electronics as these devices use most of the electricity in your home. 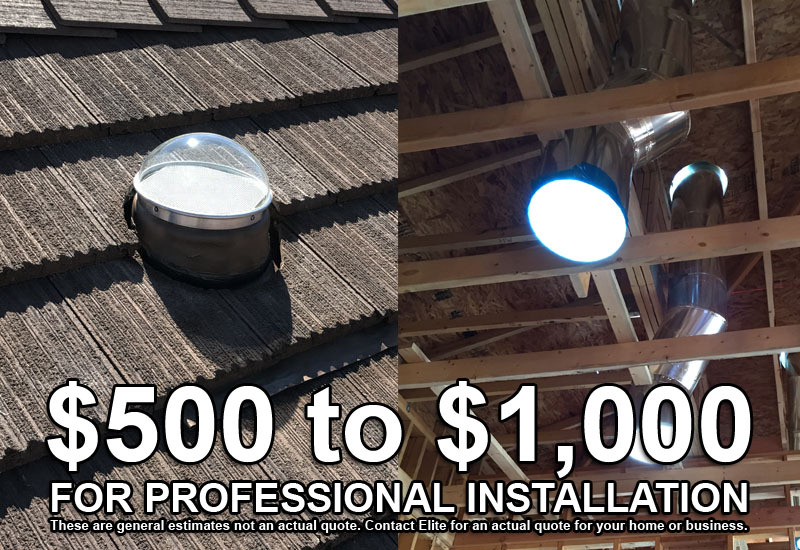 Elite Solar Lighting & Fans is proud to offer tubular skylights and solar attic fan installation services to the entire Phoenix valley including: Phoenix, Chandler, Gilbert, Mesa, Tempe, Scottsdale, Glendale, Peoria, Surprise and more.